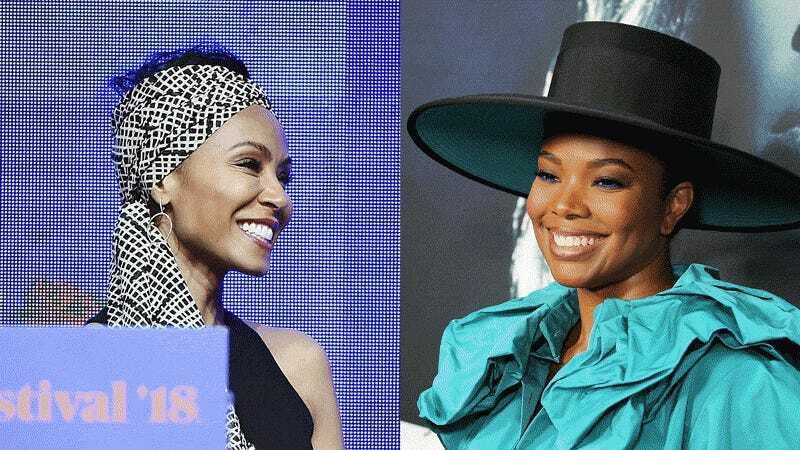 Big news: Jada Pinkett-Smith revealed on Thursday that she and Gabrielle Union began a feud 17 years ago. Bigger news: Jada Pinkett-Smith revealed that the feud she and Gabrielle Union began 17 years ago is now over. When asked by Extra whether the feud had been extinguished, she said, “Oh, definitely. We don’t even know how it started!” To which I say, 1) How fun that she both revealed and ended a nearly two-decade-old feud in a single interview, and 2) SHE KNOWS EXACTLY WHY THAT FEUD STARTED, AND NOTHING YOU SAY WILL CONVINCE ME OTHERWISE. I’m happy for you, Jada, but I don’t like it when you lie to me. I’m at bobby@jezebel.com if you ever want to dish off the record. Happy to report Britney Spears and Sam Asghari are now using the workout routine I, a certified personal trainer, created specifically for them!!! !